Digitalisation – Can we keep pace with China? In Germany, digitalisation with mobile payment and e-commerce is only just now coming into focus. We are a company working with technology, which means that trying to improve and ongoing analysis are naturally part of our daily duties already. This also includes constantly observing and following developments in countries such as China or the USA, as they are pioneers when it comes to digitalisation. As Sascha Lobo, a German blogger, author and journalist, aptly put it in the German newspaper Spiegel Online, the future has been laid out in China for several years. 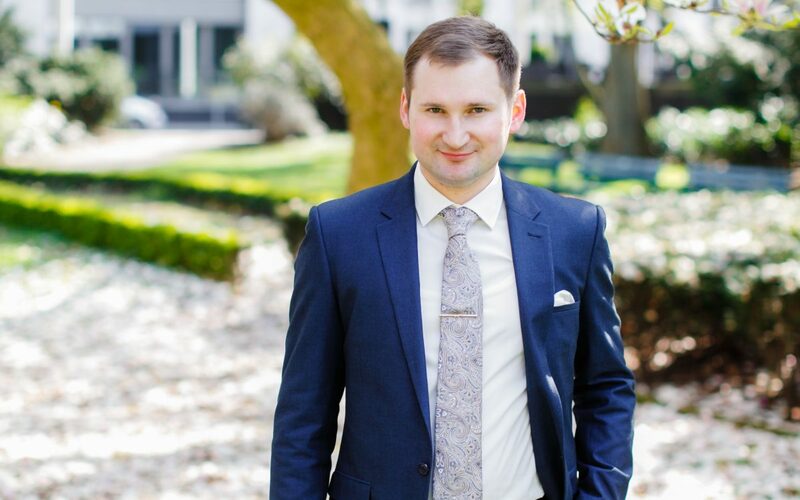 We started off this year by conducting a highly interesting and revealing interview with Dimitri Belov, Deputy Head of Market Development at Düsseldorf Tourism LLC. Today, we want to share with you his perception of this “world of tomorrow” as an insider, as well as his remarks on the platform WeChat and how incredibly powerful it actually is. In addition, we talked about which prerequisites must be fulfilled by German companies to get their share from the advances in the Chinese travelling sector. Hello Mr. Belov. We gladly welcome you on our premises and want to thank you for your time and the insight we can gain from you. To start, let us take a look at the digitalisation process in China in contrast to Germany. Where are the differences? How far are we away from the Chinese standard? 1. Companies: Global competition is severely restricted by the ban of “Western” providers such as Facebook, Google and others. Users in China are legally limited to Chinese providers only. Over time, this has led to the emergence of several Chinese providers of digital services which dominate the Chinese (and East Asian) market and are currently trying to expand into Europe. The biggest players are Alibaba with the successful B2B and B2C trade platforms and the payment service Alipay, Tencent with the “super-app” WeChat and microblogging site Weibo (similar to Twitter) As a newcomer, I would also like to mention the video portal TikTok, which some may already know from local TV commercials. Some services have attained a quasi-monopoly as, for example, the WeChat app. This application combines almost all services widely known to us (WhatsApp, Facebook, eBay, booking.com, Zalando and many more). It basically serves as an internet of its own. 2. Payment: At present, the majority of the Chinese solely use online or mobile payment methods and do not need any cash money in their daily life. How much do the Chinese use digital options in general? What is considered normal? Around 900 million Chinese, so more than 60% of the population, use the internet. Almost all of them use the mobile web (around 98%) and about 80% of those take advantage of online payment services and e-commerce. During my stays in China, I frequently notice that paying by smartphone is omnipresent, be it for paying the taxi driver, a snack from the closest corner shop, a restaurant bill and, not to mention, clothes or groceries. An American business colleague of mine, who has been living in China for quite some years, told me once that he could not remember when he had last used cash to pay anything there when I asked him. The most exciting aspect is: Most mobile payment apps in China use QR codes – a technology which has not been accepted nor could establish itself yet in Germany. What about the Chinese travel behaviour? Maybe we can talk a bit about numbers and facts. What growth can we expect in Germany and Europe in the coming years? With a population of 1.3 billion, China has an immense potential for travels abroad. But to this day, only a small part of the Chinese population owns a passport. We are talking about approximately 80 to 100 million people which is only 8 to 10%! This means that all the Chinese tourists that we encounter seemingly everywhere on this planet are only the advance guard, so to speak. The number of potential travellers is increasing by an average of around 13% every year – with a continuing upward trend. Studies suggest that, until 2021, the Chinese will spend up to 429 billion US-dollars on oversea travels. In an international comparison, Europe is the most popular Chinese travel destination for trips outside Asia. Germany ranks third in the Chinese’s Europe ranking, right after France and Italy. Between 2008 and 2017, the total volume of Chinese overnight stays in Germany tripled (from 940,000 to 2.86 million). The German National Tourist Board (GNTB) forecasts an overnight stay volume of 5 million Chinese guests by 2030. What do Chinese guests expect in terms of hotel digitalisation when visiting Germany/Europe? Which tips regarding digitalisation do you give hotels intending to attract Chinese guests? Prior to travelling, Chinese people inform themselves about their travel destination and hotel options using the internet. At first, they frequently ask other users in specific WeChat groups regarding their experiences with the travel destination and the particular hotel, and then they inform themselves about the hour, as well over the internet. Hence, a Chinese web presence is immensely important. And you shouldn’t underestimate the language barrier: Although especially many young Chinese are capable of English, Chinese itself consists of a completely different language system. This immensely complicates the communication process. Additionally, a website in Chinese is seen as a positive sign suggesting that one is endeavouring Chinese guests. In a country where mutual respect is rooted in Confucian mentality and culture, this is regarded with gratitude. A WeChat account is the ideal addition to the digital strategy and can even act as a cost-efficient alternative to a Chinese web presence. For example, Chinese companies commonly do not set up a web site first, but establish a profile on WeChat beforehand. Last but not least, I recommend the introduction of AliPay and WeChatPay mobile payment services, so Chinese visitors can conveniently pay in the hotel using their smart phone. The setup cost is rather manageable. Düsseldorf Tourism was one of the first-movers in the city and has implemented Chinese mobile payment in its tourist info points. There, Chinese can smoothly pay guided tours or purchase souvenirs with their smartphones. Meanwhile, there are multiple agencies in Germany specialised in this area. I would most gladly help to establish contacts. Which prerequisites must the German market provide to gain Chinese travellers and to make the travel as convenient as possible? Language is the be-all and end-all and key to the acquisition of Chinese guests. For example, the biggest Moscovian airport Sheremetyevo uses Chinese besides Russian and English for announcements, signboards, information panels a.s.o. and thus advanced to an important hub for Chinese travellers on their way to Europe. Therefore, a WeChat account or a Chinese web representation and at best Chinese speaking employees, especially at the reception desks, can be the foundation for success. Chinese digital payment possibilities or controlling the room equipment via smart phone are convenient and useful side effects, but overcoming the language barrier is crucial in every aspect. And ultimately, the Chinese tourists in Europe or Germany expect exactly what they are used to from home. For that reason, an electric kettle – Chinese drink hot water – and small gifts such as free bathroom accessories or free soft drink may seem negligible, but are indeed effective ways of investment in the highly potent China business. Which role does WeChat play? How can hotel functionality be controlled by WeChat? „No WeChat – no Business“, I keep hearing this statement from well-established China experts, and I could personally verify this on my travels. When you want to allure Chinese as guests, there is no way around the “super-app”. As a matter of fact, one billion users use this app on a daily basis. This means, that every Chinese internet user has installed the application on his smart phone. On top of this, there are further millions of foreign users. These mainly consist of Chinese living abroad. So, for millions of Chinese, WeChat has become the centre of all their online activity. At the same time, the Chinese guest is technologically very adept and mainly handles everyday occurrences online using his mobile device: From ordering taxis and train tickets, making medical appointments and restaurant bookings, requesting groceries and other products like clothing as well as household items to booking travel offers. According to the German National Tourist Board (GNTB), 71% of Chinese book their travel via the internet. In 2015, the amount of internet use on travels in Germany already was at 87%. Therefore, since late 2018, Düsseldorf Tourism (DT) offers their local partners to pursue marketing via DT’s own WeChat account and to raise attention in China. Furthermore, we cooperate with the largest Chinese online travel agency “Ctrip” in the scope of the GNTB “Magic Cities” campaign, which naturally is present not only on their website, but also on WeChat. We purposively and effectively market the destination Düsseldorf and our local partners on this online platform. The key to the Chinese Market is using Chinese digital offerings and structures. Dimitri Belov is a Deputy Head of Market Development with excellent experience in location marketing and project management in an international context. He has held various positions with the Office of Economic Development as well as with the Office of International Affairs of the state capital Düsseldorf, and has worked for a local marketing agency. Since December 2016 he has been with Düsseldorf Tourism Board where his remit includes responsibility for the special Health Tourism project. As a regional manager, he is responsible for the source markets of China, the Arab Gulf States and Russia. His activities include market observation and analysis, the initiation and implementation of marketing campaigns, the development of partnerships, and the organisation of Destination Düsseldorf’s image and presentation.